On that thing called a MERRY-GO-ROUND? And, that certainly is a truth. And, hold tightly to its reins! With life getting harder and harder to bear? �Til so tired of it�that we take the cure. That�s when we begin to grow. Then, watch how fast you�re growing. 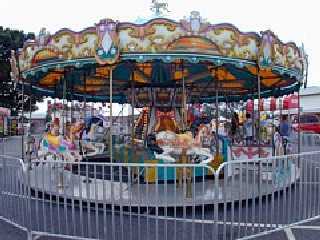 But, that grown-up MERRY-GO-ROUND�we can forsake!